When it comes to building a bridge, what prevents it from having the most enduring and sustainable life span? What is its worst enemy? The answer is, simply, the bridge itself—its own weight. Built with today’s construction processes, bridges and buildings are so overly massed with energy and material that they’re inherently unsustainable. While concrete is quite literally one of the foundations of modern construction, it’s not the best building material. It’s sensitive to pollution. It cracks, stains, and collapses in reaction to rain and carbon dioxide. It’s a dead weight: Take San Francisco’s sinking, leaning Millennium Tower as an example. Modern, smart construction can and will do better. A convergent set of technologies will soon radically change how the construction industry builds and what it builds with. A holistic shift toward new materials, additive manufacturing, robotics, and a new generation of synthetic brains (including FPGAs, aka Field Programmable Gate Array devices) will drive innovative “construction workcells”—automated manufacturing ecosystems that will use robotics to build smart surfaces, objects, and even buildings. Combining these four forces will drive the construction industry through a sea change, enabling smarter and more sustainably built cities. Imagine construction robots having the intelligence to infuse smart functionality into building material. Say, for example, you’re sitting in a room that feels too hot. It’s unresponsive to your discomfort; it can’t gauge what you want, and the temperature won’t change until you turn down the thermostat. But if the room is built with a smart composite material, the wall acts more like a skin that can sense your mood and react to you. A smart bridge or road can mean multiple things. It can be smart because Internet of Things (IoT) technology enables it to be responsive. Or it can be smart because it’s sustainable, perhaps constructed with an advanced weave of natural and engineered fibers instead of concrete and rebar. Achieving responsiveness requires embedding multifunctionality into the bridge or the road. Wouldn’t it be way more efficient to 3D print a channel of wire into a bridge beam rather than add an external wire as a secondary process in construction? Why not integrate the functionality into one process? With additive manufacturing, design complexity is never a challenge. Through robotics and 3D printing, smart infrastructure (bridges, roads, or houses) can be manufactured in ways previously impossible for humans to accomplish by hand. For example, people traditionally build more orthogonal, right-angled structures; 3D-printing robot workers operate without those human biases and constraints. 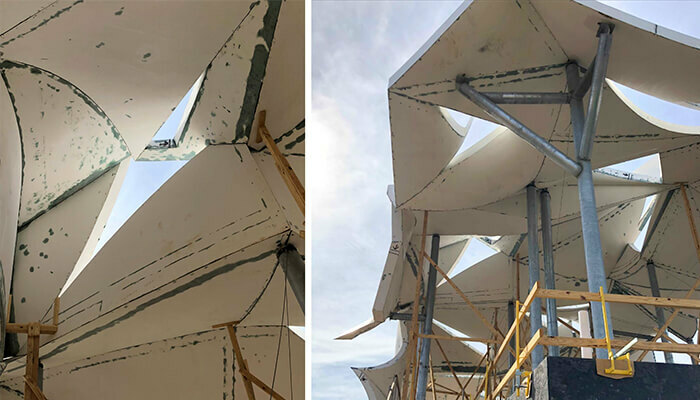 Tomorrow’s construction projects will use more flexible materials—engineered substances such as carbon fiber and polymer or natural materials such as silk and cotton. There will be many more sustainable, lightweight, and cheaper alternatives to dense and inflexible concrete. These kinds of advances are already being used to create futuristic furniture and high-performance vehicles such as 3D-printed yachts. Integrate sensors within lighter, more powerful materials that can carry information—and even store energy like a battery—and this new generation of construction will come to life. Unlike concrete, composite, FPGA-fused material is continuous and sustainable. With 3D printing, sensors and wires can be incorporated during the building process, giving bridge beams, roads, houses, and structures the ability to monitor themselves—measuring temperature, pressure, and other parameters like the human nervous system does. These structures could even communicate and repair themselves like the human body, which could result in longer building life spans. 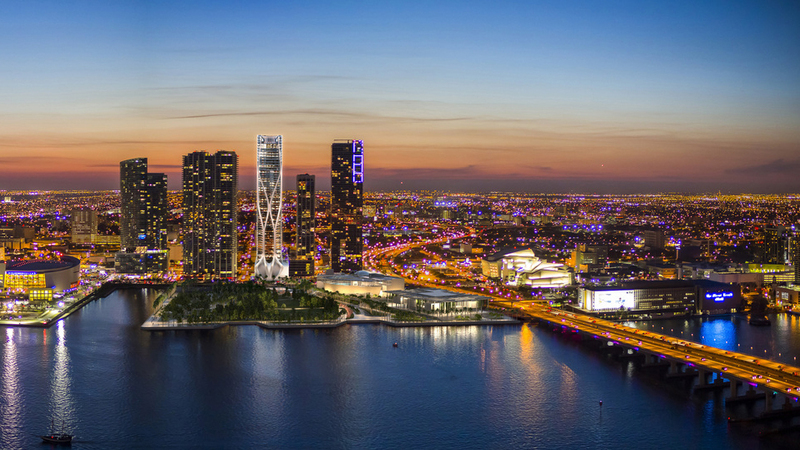 Kreysler & Associates president Bill Kreysler has already pioneered this kind of reactive, lifelike material, incorporating it into projects ranging from Tulsa’s Boathouse Pavilion gathering center to Zaha Hadid Architects’ soaring One Thousand Museum residential tower in Miami. And thanks to Kreysler, who started his career building racing sailboats, fiberglass is now a common construction material. Composite materials have also been central to the evolving automotive industry,which uses light, synthetic substances to cut vehicle weight and reduce emissions. Meanwhile, the potential for biological-like responses in these kinds of materials makes the skin comparison even more apt. With increased sensory capabilities, a building will be able to instantly adapt to environmental changes. The walls of the future will be able to act like biological material and “heal” themselves when they’re damaged. Say you’re building with a smart fiber material. The fiber will have some resin inside, like your blood. Inside the resin, there will be a microbubble of an uncured, epoxy-like substance. When broken, the substance comes into contact with air and starts to oxidize. 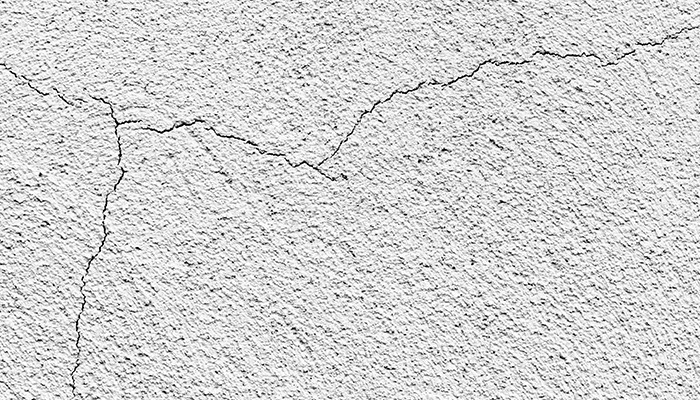 The process can seal cracks, reacting much the same way that a human body triggers a chemical reaction to begin healing a cut. Like skin, the mechanical sensors will act like nerve endings, allowing for constant adaptation. Numerous self-healing concrete experiments have already shown this idea taking root, but using composite materials as building blocks will evolve the concept—and much more sustainably. While it may seem like science fiction, all of this technology is real today. And with human support, these seemingly far-fetched ideas could become reality over the next decade. 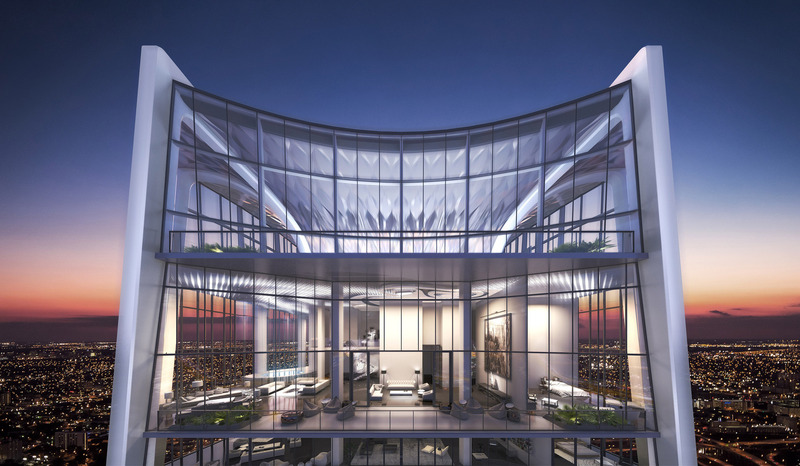 But for this kind of advanced construction to catch on in the mainstream, the industry needs to start experimenting by building landmarks to show that these projects are possible. 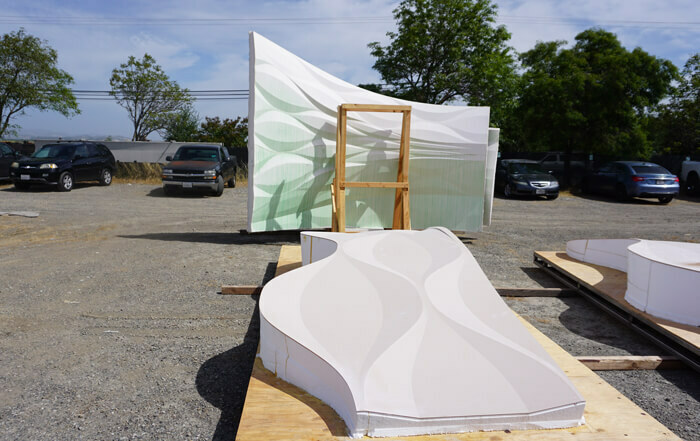 By demonstrating new concepts on facades and other nonessential structural components, Kreysler and like-minded innovators can prove that these types of projects are safe, sustainable, affordable, and efficient. To show what’s possible tomorrow, the construction industry needs to build educational and informational infrastructure today. The construction advances of the future will come only when builders embrace the potential of the present.